Heidi Vilkman sent me photos of her wonderful natural building project in southern Finland. 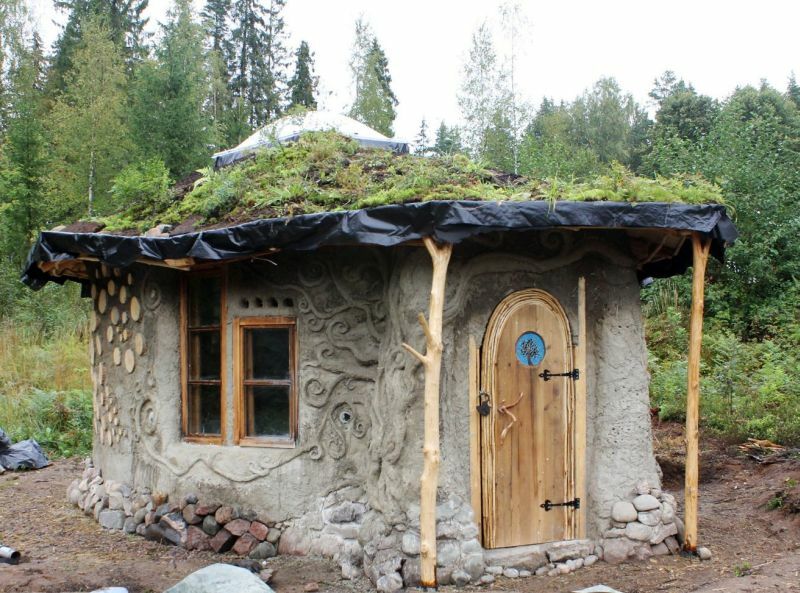 Heidi Vilkman’s cob and cordwood cottage in southern Finland. Beautiful flowing motifs in the walls, a living roof, whimsy and artistry everywhere you look. You can read more about Heidi’s adventure at https://www.heidivilkman.com/ go to the Eco link. A close up of Heidi’s tree motif. 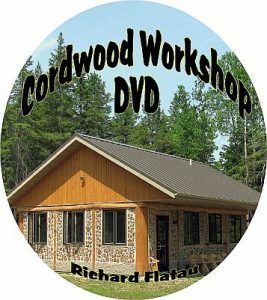 To me this, along with the cobwood connects the building to the earth and the surrounding Finnish countryside. 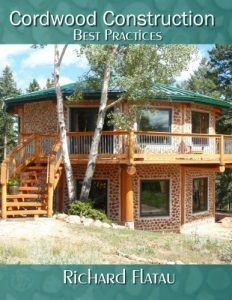 Here is Heidi’s intro “This blog is about following my dream to build a small Eco dwelling in a forest in South of Finland, by using only my bare hands, some friends’ help, as little money as possible and only natural materials from the surrounding environment (strawbale, wood and cob). A view from the front door. While Heidi intends to do more work next summer, she has left her cob cottage with a sense of deep satisfaction and the pride of a major accomplishment. The door rings of her artistic nature as the blue medallion gives a personal message to all who are welcome. A panorama of the many changes that took place as Heidi’s cottage went from dream to drawing to building. 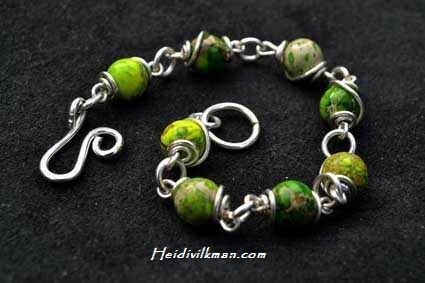 Heidi also makes some fabulously earthy and whimsical jewelry, drawings and crafts. You would be well served by Heidi should you be in the market for something unique and one of a kind. 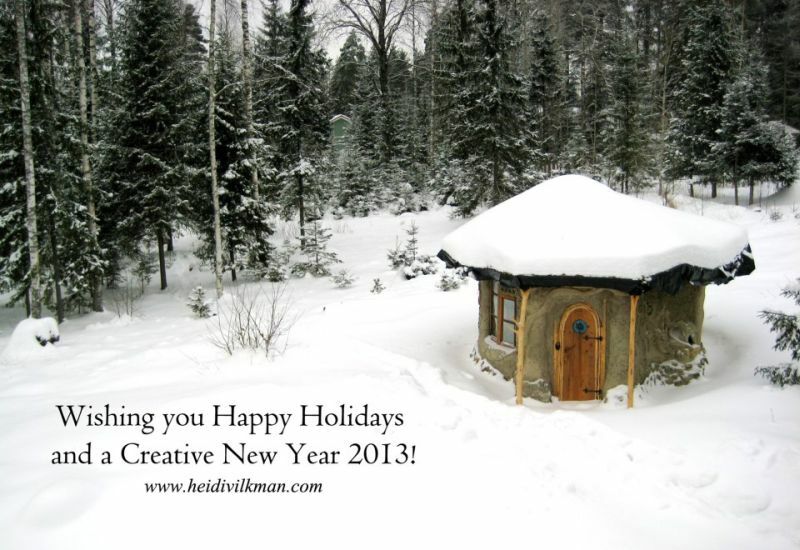 Heidi’s cabin in mid-winter with a wish for everyone. Stay warm and toasty!